It’s not like on television, and it’s not really exciting. In most cases the repossession representative simply presents the airport manager with the papers and the aircraft is locked up or flown away. However, all countries have varying degrees of enforcement with laws pertaining to aircraft repossession. Seizure of an airplane and flying it away, or even taxiing it can be considered a criminal offense. Additionally, it may give grounds for lawsuit by the Lessee. The company you hire to repossess the aircraft could put you in legal jeopardy. 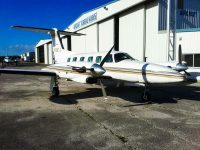 It may take several court hearings and legal procedures to (refer back to leasing tips) gain lawful access to the aircraft. 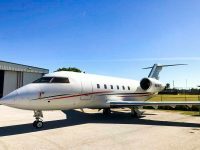 Experienced Miami Jet personnel and pilots trained in make and model of aircraft coordinate with attorneys and airport officials to ensure the repossession is handled correctly and legally. The Cape Town Convention supersedes the Geneva Convention with regards to aircraft and aircraft objects, and supersedes the Rome Convention for the Unification of Certain Rules Relating to the Precautionary Attachment of Aircraft 1933. The Cape Town Convention is designed as a multi-equipment treaty with protocols for aircraft equipment, railway rolling stock and space assets, but the only protocol to be adopted so far is the Aircraft Protocol and it applies to airframes, aircraft engines and helicopters: airframes which can carry at least eight persons or goods in excess of 2750 kg; all aircraft engines which have at least 1750 lbs of thrust (if jet powered) or 550 HP (if turbine powered); and helicopters carrying 5 or more passengers. At the time of writing, the Cape Town Convention has been ratified by 64 contracting states, including the UAE, as well as the European Union. The main aim of the Cape Town Convention is to reduce the cost of raising finance for large high value mobile assets (such as aircraft ) which regularly cross borders, and the main mechanism is to provide for the creation of ‘international interests’ such as a mortgage or an aircraft finance lease which is capable of being recognised in all contracting states, and to provide for international remedies available to creditors should an airline or operator default on repayments relating to an international interest.Additionally the Cape Town Convention creates an electronic international register for the registration of ‘international interests’. vest an object in satisfaction or redemption. There are also remedies available for conditional sellers or lessors and interim relief pending final determination of a claim. the ability to export the aircraft. Chapter III, Articles 8 to 15 of the Cape Town Convention provide a lessor or financier with a set of remedies in the event of a debtor’s default, and these remedies include taking possession of the equipment. The Aircraft Protocol Article IX (1) expands those remedies to include deregistration, export and physical transfer of the aircraft from the territory in which it is situated, together with a subsequent re-registration of the aircraft. Article 13 of the Cape Town Convention (as modified by Article IX of the Aircraft Protocol) provides the mechanism to make an application to court, and the lessor’s entitlement to request court relief stems from the contractual agreement within the aviation finance lease documentation agreed between the lessor and lessee so that the provisions of the Cape Town Convention and Aircraft Protocol and its remedies will apply, and are agreed in accordance with Article IX of the Aircraft Protocol. With the high potential risk of additional financial loss from a lease default, Lessor must exercise caution in recovery of the asset. Consult with the Miami Jet team to repossess your aircraft correctly and legally with complete confidentiality between all parties.